"It's a reminder to check your statement, it's an unexpected thing to happen," he said. "I'm a bit lax, if it wasn't for the friends I had been out with who messaged me the next day, I might not have noticed." Mr Alton, who works in PR, said he had spent about £60, adding: "The restaurant's been very good. As far as we know, we'll get the money back." David Stewart, 61, lives in Edinburgh and was charged £1,060 twice when paying a hotel for his daughter's upcoming wedding. "I found out Saturday 1 September. At first I thought it was the hotel error. I went down to the hotel but I found out they had nothing to do with it. "I phoned Santander on Monday morning and they said I would get my money back. The main thing has been the stress of not knowing what was happening. "I received my money this morning. I think they should look at what's happened and give compensation as a goodwill gesture." One woman, known as Lisa D, said she had visited the Oblix restaurant in The Shard, London, to celebrate her husband's birthday when she was charged twice. The Nab's Head, in Preston, Lancashire, said in its statement second duplicate payments would not be taken by them but refunded as soon as possible. 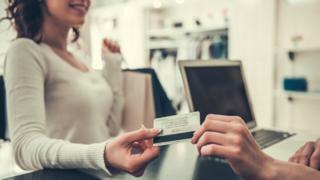 It claims to make it "easy for merchants to accept card transactions online, in person or by phone". So it's vital we can have confidence in the security and reliability of the technology. "All customers have now been automatically refunded, however customers can check their statements and get in touch with their banks if required." In July one of the UK's money transferring services had to deal with a backlog of payments after a system failure.